Looking for university-wide resources as a graduate student? A number of offices on campus serve all students’ needs and may have what you are looking for. Simply hover over the “Resources” menu above for Graduate College resources, or find a department or service area outside of the Graduate College below. more than 1.4 million volumes, including some 460,000 print book and 6,000 print serial titles. access to more than 232,000 e-books, 140 databases, 88,000 e-journals and newspapers, 80,000 streaming videos, and 132,000 streamed sound recordings. our Special Collections and Archives holds 20 million unique items focused on the Colorado Plateau and Northern Arizona. Over 110,000 are accessible in the online Colorado Plateau Archives, which includes digital content from partners such as the Arizona Historical Society/Flagstaff, Hopi Cultural Preservation Office, and Navajo Nation Museum. OpenKnowledge@NAU, NAU’s institutional repository, gathers NAU teaching, research, and creative output in a central, open location. The Office of the Vice President for Research (OVPR) promotes research, scholarship, and creative activity across Northern Arizona University. They promote the university’s research enterprise and provide leadership to the reporting units that manage financial and other resources that support the scholarship and creative activities of faculty, staff, and students. Student and Departmental Account Services (SDAS) is an NAU student’s one-stop-shop for billing, tuition and fees, making payments, and processing refunds. 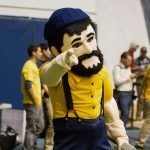 The NAU Office of Scholarships and Financial Aid is committed to guiding students through the process of applying for federal and state financial aid and, when able, helping to identify possible scholarship opportunities. The Office of the Registrar manages student academic records and course enrollments on behalf of the Northern Arizona University community. As graduate students, the Registrar Office can provide you with forms and resources not available through the Graduate College. The Office of Veteran’s Affairs and the Veterans Success Center at NAU is a center for all student veterans and military connected members to come for academic and financial resources, as well as to relax, interact, and study.